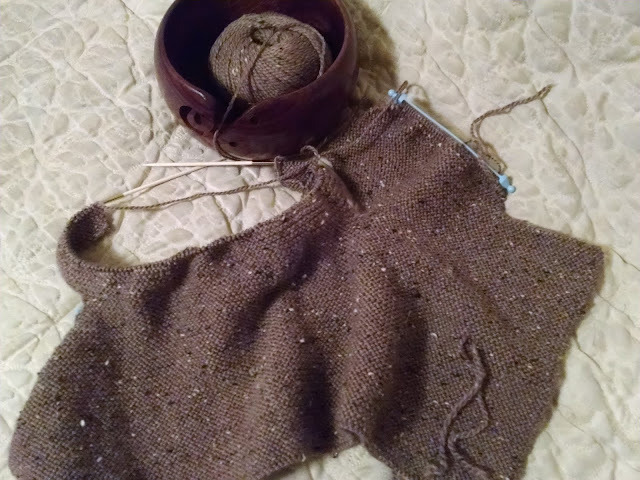 I made it to the end of the second ball of yarn on the brown baby kimono, another project started for our father-to-be acquaintance. In truth, the Gnomey hat happened because I got antsy waiting for my yarn shipment to arrive. As one does. And also...I found an old Joann's giftcard in my jewelry box, so more yarn! I'm going to take another stab at that placket neck sweater, only this time in a toddler size. It's been interesting trying to find DK weight lately. 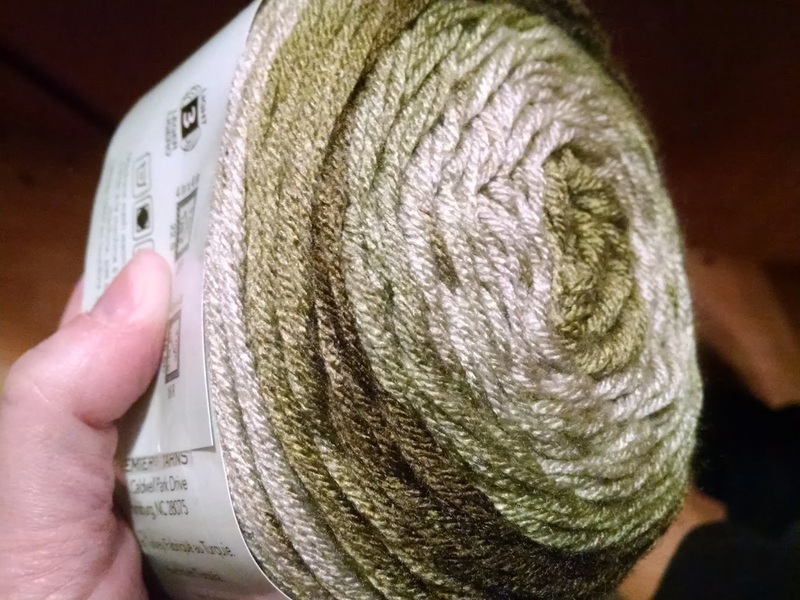 This was the *only* DK sized yarn I could find in the store, and this is the least feminine color out of all of my options. Slim pickin's. Yesterday we attended an informational meeting for the high school Arts Academy run through our daughter's school district. First of all...high school! Ah hem. And second, we were really impressed by the offerings available to the students. They accept a limited number of incoming students, and selection is by lottery, so we will have to cross our fingers and see how it goes. Astrid was really inspired by the meeting, and excited at the thought of getting in. For now, we wait. The weather has been mild, holding off on precipitation. We've barely had a dusting of snow, which is unusual this late in the year. But it's coming. We are expected to get six inches of the stuff on Saturday. 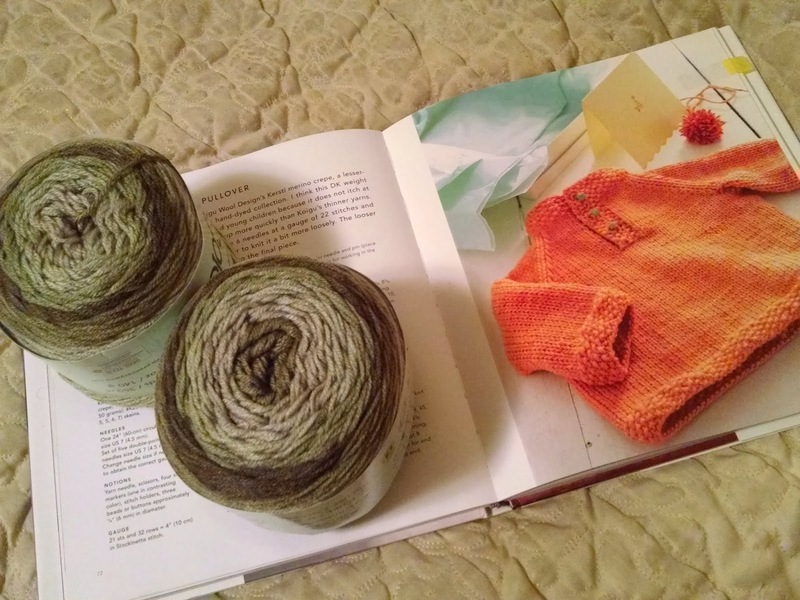 If predictions are correct (which they rarely are), you can find me on the couch...under a blanket...knitting the sweater I may have cast on between starting this blog post and finishing it.